The Latest from Charles Green! Buy a Season Ticket and Get to Vote for the New Name for Murray Park! Now the weekend has passed, Rangers-related activity can re-commence full steam ahead! Mr Green met today with the fans’ representatives. There has been no word as to whether or not he has now taken up day-to-day management responsibilities, as suggested in the (possibly erroneous) CVA proposal. See my earlier post about that. What did he have to say today? As before, my comments are in bold beneath Mr Green’s statement. CHARLES GREEN, who is leading a consortium purchasing Rangers Football Club, issued the following statement tonight. He said: “I had a very constructive meeting with the Rangers Fans’ Fighting Fund today and we discussed a wide range of issues. We are united in recognising that a successful outcome to the CVA proposal is extremely important for the club, our fans and many businesses who have dealings with Rangers. Approval of the CVA would give everyone a huge boost of confidence. There are two schools of thought. The first is that Mr Green genuinely wants a CVA to be approved and sees this as the best way forward. On the basis that his consortium is lending the money to Rangers to fund the CVA and charging interest on it, it is also, it seems, the best financially for him. However the second and revisionist, or realist, school suggests that he knows that a CVA as proposed is almost certainly unacceptable to HMRC and that, in fact, the cheapest deal for him is a newco asset purchase, for a total of £5.5 million. Thus the debt, oldco penalties and Big Tax Case are left with the oldco. Mr Green them tries to march back through the front doors of the SPL saloon claiming that, even though it looks rather different, it is still the same Rangers. Like the Clint Eastwood style gunslingers of the movies, he is challenging someone to take him on, and to go for their six-shooter. He hopes that, even though the piano stopped playing and all the chatter stopped when he walked in, after a pause and following a couple of glares from new Rangers, everything will continue as normal again. Therefore Mr Green has to be bullish about a CVA as preferred option even where it is not, in a business sense, necessarily the best way to go. However, I am less sure that businesses owed money by Rangers would agree that a CVA is extremely important for them. They stand to get little or nothing. A “successful” CVA for Rangers is almost by definition, at the figures proposed, an unsuccessful one for the creditors. “I provided the fans with further details of my consortium’s vision for the future of Rangers. Understandably, supporters are wary given the recent past at Ibrox but I will continue to have dialogue with the fans and inform them every step of the way. “We will be taking Rangers forward to better days and one idea I put forward today is my plan to rename Murray Park. Does this move Rangers forward to “better days”? I have already seen mention of deckchairs and the Titanic. However, if he wishes to signal a break with the past, then can he be faulted for the idea? No. But also he cannot pretend that it is a major step either way, can he? “Following discussions with the supporters, we will be asking season ticket holders to vote on whether to rename Murray Park as either the Moses McNeil Academy or the Davie Cooper Academy. We will be asking supporters to vote when they renew their season tickets. Will the chance to honour one of the founders of Rangers, or the great Davie Cooper be enough for fans to overcome their concerns and buy season tickets now? On the other hand, might he have offended some fans by restricting the choice to McNeill or Cooper? Will there be a clamour for a wider franchise? Will fans write in votes, so that Smith, Greig, McCoist, Wallace (Jock, not Rod) and the heroes of the past can have a shot at glory? “We also discussed the situation with the SFA player embargo and I made it clear that the club’s position remains that we want to see a satisfactory outcome. Maybe he is in charge now, as he is making clear the club’s position. However, the embargo is gone already. Of course he wants to see a satisfactory outcome. I would like six lottery numbers to be correct. What though are Rangers doing? By now he, D&P, or both will have spoken to the lawyers about an appeal. Will they appeal the decision not to send the matter back to the Judicial Panel? If so, then it will not be concluded until into next season. As the embargo has been quashed, Rangers would not be affected by it pending an appeal (once they got out of administration, as a team in administration, with the attempted exception of Daniel Cousin and reserve goalkeepers, cannot register new players at all). This might help them bluff their way into the “saloon” described above, and once they are in with a seat at the table, who is going to tell them to leave? We don’t have a Gary Cooper, James Stewart or John Wayne character in Scottish football just now. Could this man resolve the issues for the SFA and SPL? I hope, in my own small way, to make it as comprehensible as possible. Let’s see therefore what will happen next! How about they rename Murray Park…’Cheating Bast@rd’s Park’. That way they can all identify with the traditions of their own past. If I was part of the Davie Cooper family I wouldn’t want a family member’s name associated with such an underhand toxic organisation. Love that this is the sop offered to the fans. He must think they are beyond gullible. I look forward to his offer to first-team players of a NewCo branded unicorn each. Talk about re-arranging the deckchairs on the Titanic…. He doesn’t THINK that they’re beyond gullible. He’s learned quickly – he KNOWS that they’re beyond gullible. Witness Dingwall and co rushing to meet with him at the first snap of his chubby wee fingers. Bet he’s offered Dingwall a seat on the board as a fan Director. 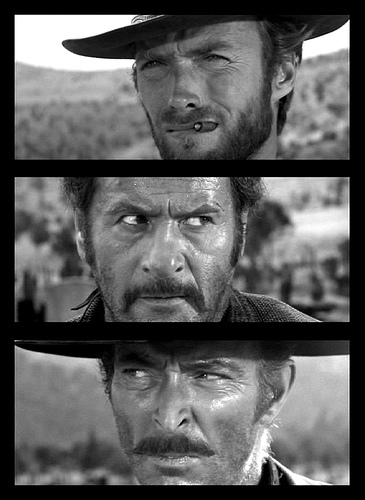 Once Upon A Time in The West there was a football club that didn’t obey the rules as they spent a Fistful of Dollars searching for the Treasure of Sierra Madre. Eventually they were hunted down using True Grit by Wyatt Earp type internet bampots, known as The Magnificent Sixty-Seven. As their legions went Stir Crazy, they put together The Proposition of shafting everyone for A Few Dollars More. The bampots were Unforgiven, unveiling banners suggesting that Death Rides A Horse, and the call was “Hang ‘Em High”. 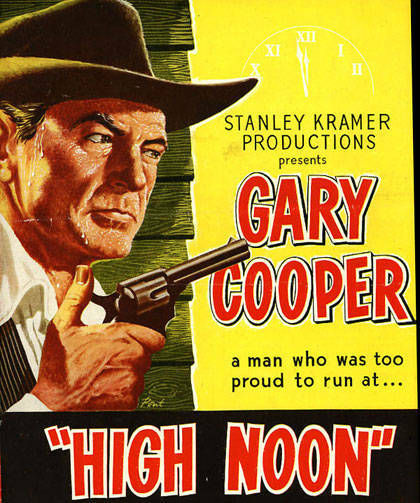 So justice was served by Big Jock, sorry Jake, at High Noon in Rio Bravo. Their Tombstone reads “They Died With Their Boots On.”….THE END. How many high noons is mob gonnae get?? They will soon need a time machine. Do the unclean know thers 40 shades of Green?? Its gone from ”Disaster movie” to”’soap opera ” and now to cartoon !! ,its easy Murray park becomes Celtic youth academy,Ibrox ,Celtic reserves park and the carpark ?……..somewhere for the Bhoys n Ghirls to eat our Jelly n ice-cream …..Seemples !! Whilst the BTC has yet to declare, there is a possibility that the HMRC may decide to vote tactically, and accept the CVA. I know, it sounds daft, but hear me out. If HMRC voted No, and they went into Newco, with Oldco burdened by the BTC liaibility, then when the outcome came along from the FTT, it would make no difference. If however, they voted Yes, and RFC emerge from Administration, and then the BTC result was announced, then RFC would surely go straight back into administration (or at least that seems a reasonable possibility). Exccept this time, they get hit with either 24 or 27 point penalty (not sure whether the 1/3rd penalty is based on points before or after their 10 point penalty), but more importantly, HMRC get a chance to seek to appoint their own administrators. Now of course that is just a speculative guess about one possible scenario, but it does raise the question about whether HMRC will simply vote according to principle or vote tactically. Furthermore, if the FTT announce before June 14, such a question would be irrelevant. Or do I just need to have a long lie down in a dark room? I enjoyed the artwork. Keep it up for future posts please it breaks up the monotony of black and white with the odd bit of grey. I’m sure the cowboy theme was apposite. mr green must think we are all green like him. buy a ticket and get a free raffle ticket to name a building !! pull the other one mr green. where were the answers to the searching questions that rangers supporters and others wanted answering? however what’s more serious is the sfa ‘s innocence (?) in thinking there won’t be a conflict of interest in a seller providing a report on a buyer. what redress does the sfa expect to have if/when the buyer turns out to be another wrong ‘un. none I should imagine . Given the main protagonists in this and the amount of other people’s money that has been hoovered up by this club, how about Green and Whyte and Gold Park? Think they’ll go for that? Call me paranoid but I sense a shift in the way things are progressing and it is all good for Rangers. * New rules will be introduced to ensure new owners are of good character, even though there is no call for Mr Green to name his backers and have them vetted. As Doncaster has already virtually guaranteed his support for a newco, it seems to me that Messrs Doncaster and Regan have been called before their “real” bosses and advised of how to treat Rangers going forward. Do not be surprised if these bosses have fingers in the decisions of HMRC and a CVA including a write off of the BTC is sanctioned. On the other hand I could be totally wrong. following your cowboy theme, I expect that the cavalry will be riding to the rescue soon. Is that s bugle I hear? Well well well. After the Rangers Fighting fund have their meeting to make Green put his “cards on the table” nothing has been made public. Why have the Fighting Fund not made a statement? Maybe they will later today. Either way surely this was an ideal opportunity for Green to be seen as a man the Rangers fans can trust. All Green has produced in his statement is more smoke. About this; a number of media sources are reporting that Stewart Regan has said that no deal will be done with Rangers; he is reported as saying that it is an independent process and, as far as the SFA are concerned, that process has to continue … he said that Mr Green is keen to understand the implications of what’s happened as far as the various hearings are concerned and is keen to understand the scale of sanctions open to the tribunal, and he has simply been pointed back to the Judicial Panel protocol. I have a couple of questions in light of this. Why is he worrying about the naming of a park at this time? … Well I know why, it is for reasons alluded to above and… What happens to the monies for season tickets if Rangers are suspended/expelled from the SPL? Do the fans get their money back? I have to disagree with Mr. Green’s assertion that the best way ahead for Rangers is a CVA. A much better way would be for Sheikh Mansour to take over the club, pay off all the debt owed, and make a sincere apology for past misdeeds. Before dismissing this plan please consider that there’s more chance of Sheikh Mansour bidding for the club than there is of Duff & Phelps achieving a successful CVA. Hopes raised, hopes dashed, over and over. the mention of moses mcneil made me wiki the guy to find out a bit more. i think he will be an excellent choice given the early opposition for rangers (clyde, callendar, vale of leven and queens park) will reflect well on the opposition for next season. The mention of Davie cooper reminded me of a story about this guy who left rangers because he allegedly refused to pass the ball to mo johnston (not a bad judge of character some may say) because he was a catholic (not really, some may say). Reagans comments are the calm before the storm… The BBC evidence of dual contracts and not the discretionary payments purported will be backed up by the documentation Rangers had to provide and these data can or should be easily verified thru various computing systems, ie, payrole (probably an external company), the EBT scheme provider, HMRC, all this information will be around for years and cannot be overwritten, not to mention internal email as well as witness reports. What looks like a favourable, submissive, almost pandering response from the SFA will soon be cut to shreds by actual evidence of bigger crimes and the ultimate sanctions. There is no other way. paul I feel a high stakes poker game is about to be played out. who is going to reveal their cards first, who has the aces and who is going to take the jackpot? does the sfa’s ace of say one year’s suspension trump the hmrc’s of say £50mill+ bill? or vv? all the poker players involved should get round a table now and do some dummy runs with various scenarios in preparation for the big day on jun 14th. but dont put d and p in charge of it…! How would a one years suspension work? Unless one league plays with one team short for the season, another team will be allowed in to replace Rangers. At the end of the year who gets kicked out to replace them? Suspension works by awarding a 3-0 win for the opposition for every match that suspended from playing. Because of this a one season suspension is fairer on the other teams in the league. Rangers would then be able to continue in the league when the suspension is served. So if this happens the SPL will be one team short for the entire season. What about “The Producers” theme rather than a spaghetti Western? “As agreed between Charles Green and the RFFF, certain business sensitive information cannot be disclosed at this time. “The RFFF is, however, able to announce that it secured a commitment from Charles Green that he and his consortium will not be mortgaging nor disposing of any of the property assets of Rangers Football Club plc. So they won’t have to pay rent on the facilities only interest on the loan. Would love to know what “business sensitive information” is. I think everyone who reads this blog has had their minds, disbelief and patience stretched by the Ealing Comedy that is Rangers In Administration. The latest sideshow wheeze of name switcheroo seems like the modern day version of a court jester entertaining the crowds as a mass execution takes place. Does he honestly think that by removing all reference of the ‘Ayatollah Naemoney’s’ name that the Bears and everyone else will see this as a fresh start? Paul, I am seriously surprised that the administrators can agree a liquidation figure when they have not been seen, to my knowledge, to have tested the market. In any case if the CVA fails Duff and Duffer are not guaranteed to be liquidators. The Duffers could be off to Manchester next week and off the case so the Green Knight is not nailed on. Dave King is calling for the rejection of the CVA. Then, at the end of the article I noticed this little snippet. Whyte is threatening to take legal action against the Scottish Football Association. “I will be going after them,” he said. “I will be looking at legal options against the SFA. “They have a lot to answer for with their defamatory statements about me which formed the basis of their so-called investigation. Can anyone explain what difference any future liquidators being appointed by HMRC will make, if Mr. Green’s consortium can still buy all the assets for £5.5m? Or is this deal void in the event of liquidation? Ignore this! Paul’s new post re the creditors’ meeting beat me to it.